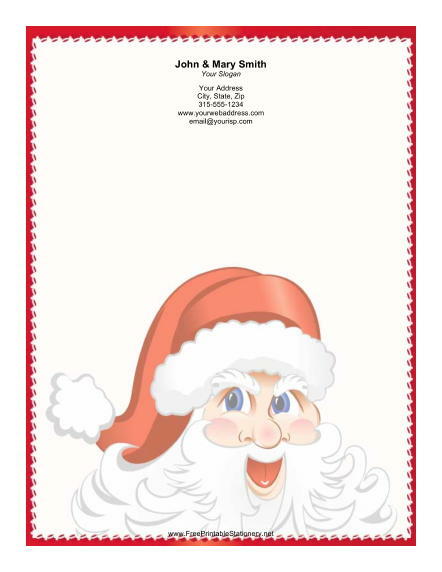 Santa Claus is jolly as even on this Christmas stationery with his white beard and red hat. He is surrounded by a festive red border with lacy white accents. A simple white background is included, leaving space for long, thoughtful letters.